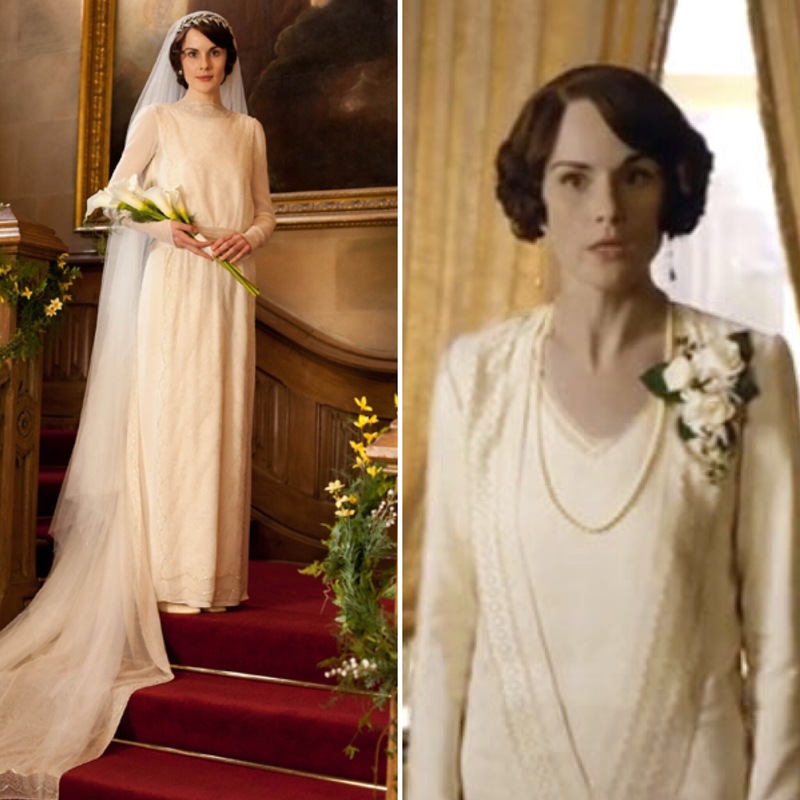 The gang’s all here: Mary, Edith and Rose! 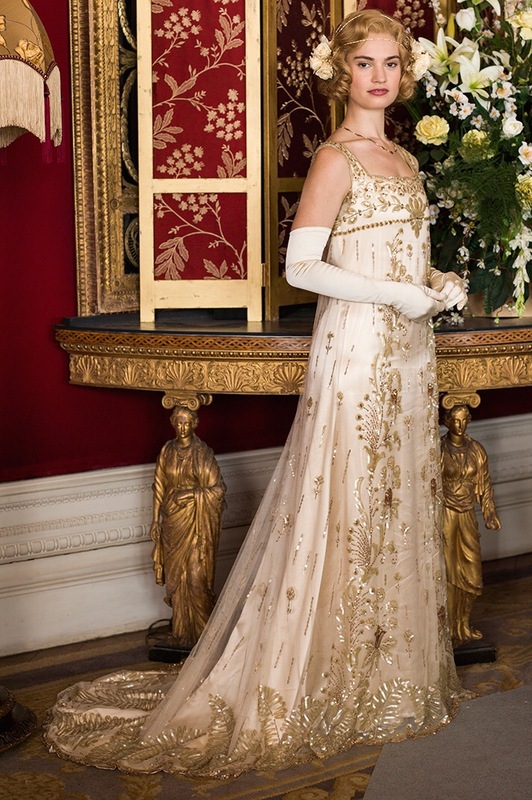 I didn’t want to post anything about he weddings until the succession of the beloved show and I was so fortunate to see some of the gorgeous costumes in person at an exhibition at the Biltmore. 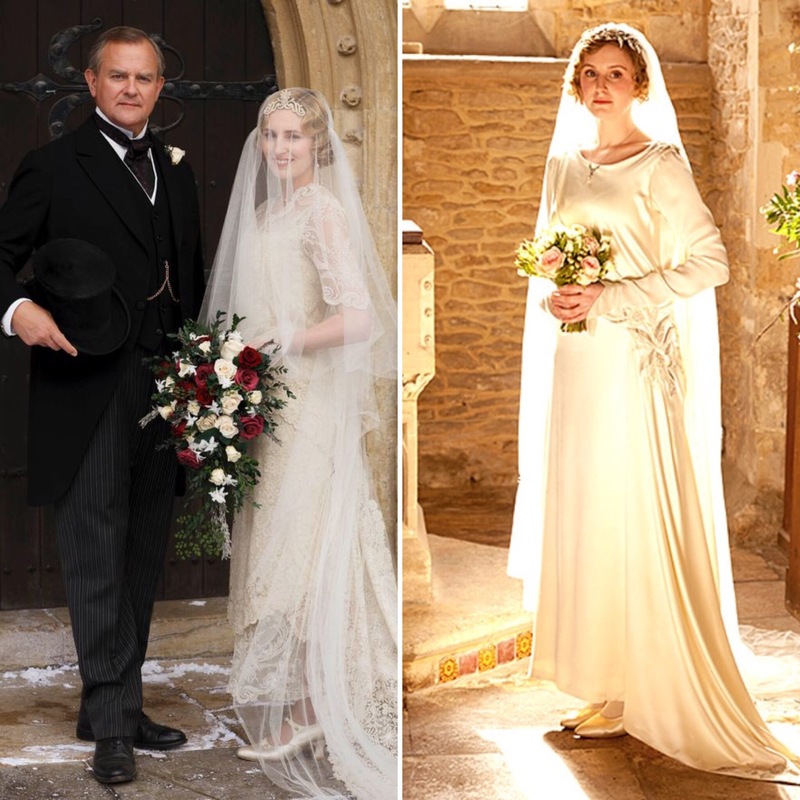 Here are all the wedding gowns showcased in Downton Abbey, and okay- real talk, Rose’s is my favorite (gotta love all that sparkle! ).